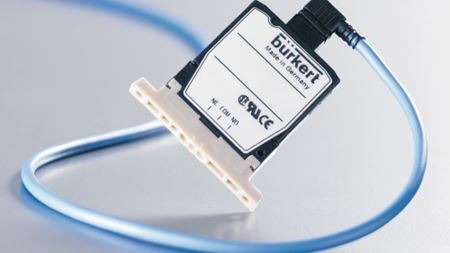 Bürkert Fluid Control System's Flipper 6650 solenoid valve is available in a 2/2 and 3/2 way version with a pitch of 4.5 mm. Registration is now open for the Europump 2010 Annual Meeting and 50th Anniversary Celebration which will be held in Paris, France 26-29 May 2010. Gabelli & Co Inc’s 20th Annual Pump, Valve & Motor Symposium took place on 25 February 2010, in New York. Viking Pump has expanded its line of high pressure positive displacement pumps to 190 GPM (43 m3/hr). 'Mechanical seal selection for VSDs' is now available as a download on this site. 'Two approaches to capacity control' is now available as a download on this site. 'Mixture type dictates pump choice' is now available as a download on this site. 'Increasing reliability using FEM-CFD' is now available as a download on this site. 'Pumping gas from field to application needs large machines' is now available as a download on this site. 'The industry's global career focus' is now available as a download on this site. 'Intelligent drives on the rise again' is now available as a download on this site. 'Reducing greenhouse emissions at origin' is now available as a download on this site. 'Tubular case pumps for desalination' is now available as a download on this site. 'Rubber cuts sewage pumping cost' is now available as a download on this site. The Caprari Group's Spanish subsidiary, Bombas Caprari, SA, is about to celebrate its 30th anniversary in 2010. ITT Corp is buying analytical instrumentation company Nova Analytics Corp.
Gardner Denver Nash has expanded its Vectra model range series of liquid ring vacuum pumps and compressors with the NASH Vectra XL 750. AxFlow Ireland, part of the AxFlow Group, has acquired Dublin-based pump supplier Combiflow Ltd.
'Seal and bearing care extends life' is now available as a download on this site. Ruhrpumpen has put new procedures and a 5S program in-place in order to improve lead times. Cardo, parent company of the ABS Group, is putting a new structure in place based around two divisions: Cardo Entrance Solutions and Cardo Flow Solutions. Canadian oilfield services company EcoMax Energy Services Ltd has sold the rights to its EcoMax Chemical Pump technology to Lewa GmbH. GE Oil & Gas’s newly redesigned DVS centrifugal pump for liquid pipeline applications is now part of GE’s ecomagination portfolio. 'Air motor drives in the paper industry' is now available as a download on this site. The MDW line of chemical process pumps from Iwaki America features PFA Teflon liners with silicon carbide bearings. Flowserve Corp has integrated its Flowserve Pump Division and the Flow Solutions Division into the new Flow Solutions Group.